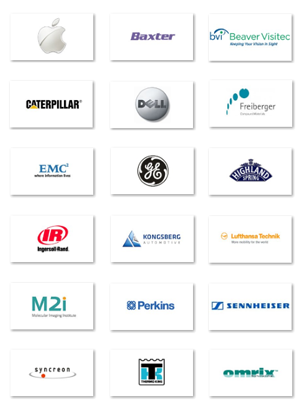 In early 2010, NGS were awarded the contract to construct a Class 1,000 Cleanroom including HVAC and air-conditioning system for the Apple manufacturing site in Cork. This is the only Apple owned manufacturing plant in Europe and is responsible for the build and configuration of the iMac product for the European market. 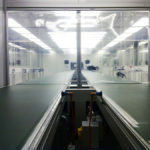 Within this Cleanroom which we constructed using our Octanorm Cleanroom system, the main glass front is fitted to the iMac on a zoned conveyor where the operational area of Class 100 is achieved by using additional ceiling integrated fan filter units being mounted above the conveyor areas. The dual sided, multi-zoned belt conveyor has 6 stations where operators complete their tasks before the product automatically moves to the next operation. This is the final assembly operation which takes place after configuration and extended test but prior to packaging. 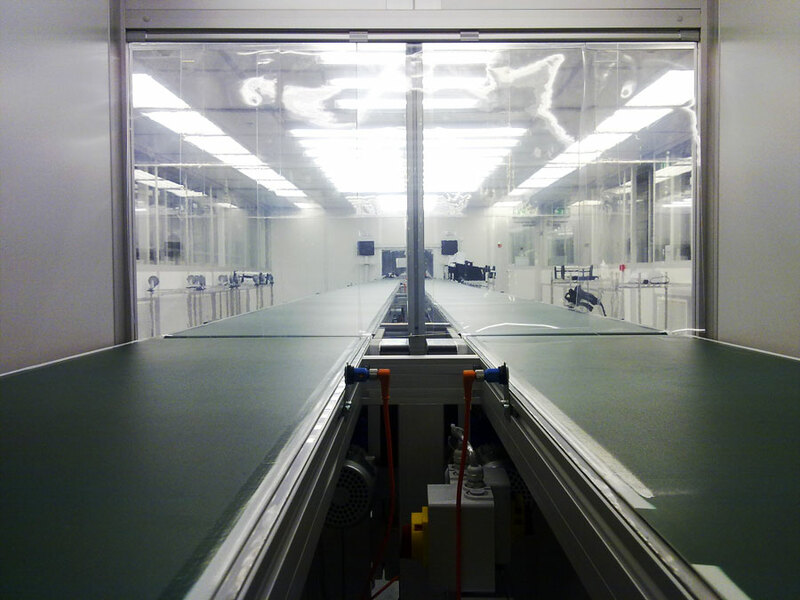 The total Cleanroom area is approximately 165m² of which 110m² is production area, and the remainder being allocated to an R&D lab, a gowning room and a 4 person air shower. 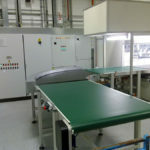 The internal fit-out and integration of the Cleanroom was also managed by NGS including the installation of a belt conveyor which ran from the in-feed straight through the clean room and linked up with the packaging conveyor at the out-feed. Complete PLC and electrical integration was included along with vinyl flooring, edge protection and material pass through solutions. 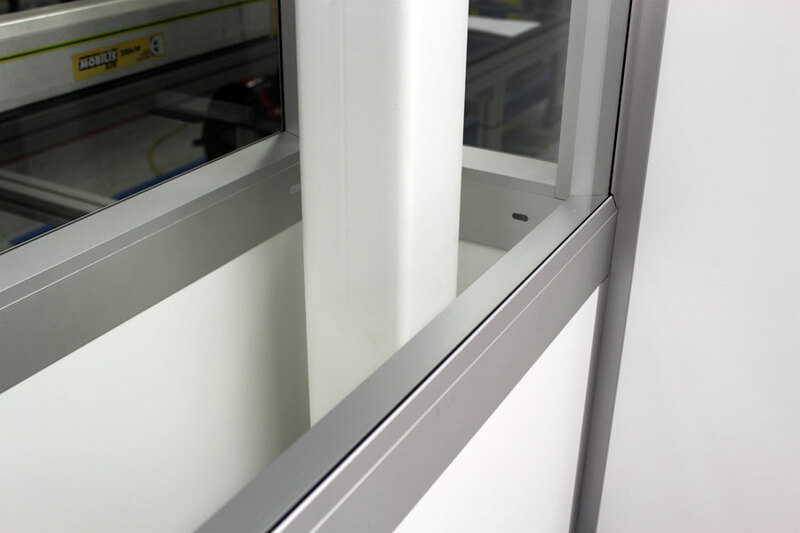 The overall Cleanroom design was completed on our behalf by our German partners Solutions and Handling and delivered as a turn-key solution by NGS. Structural steel main frame support system with HVAC plant housed overhead. 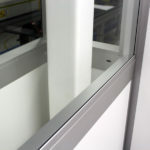 Frame legs positioned within the return air walls and no structure obstruction within the room. Final stages of assembly where product exits the cleanroom and integrates with packaging conveyors. 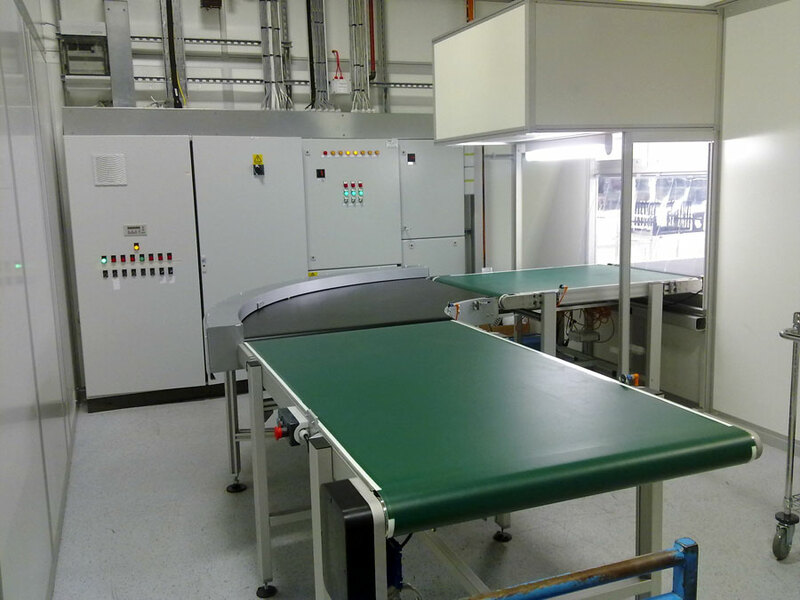 Electronics Manufacturing Cleanroom, integrated twin product conveyor solution with multiple work zones for unit assembly. 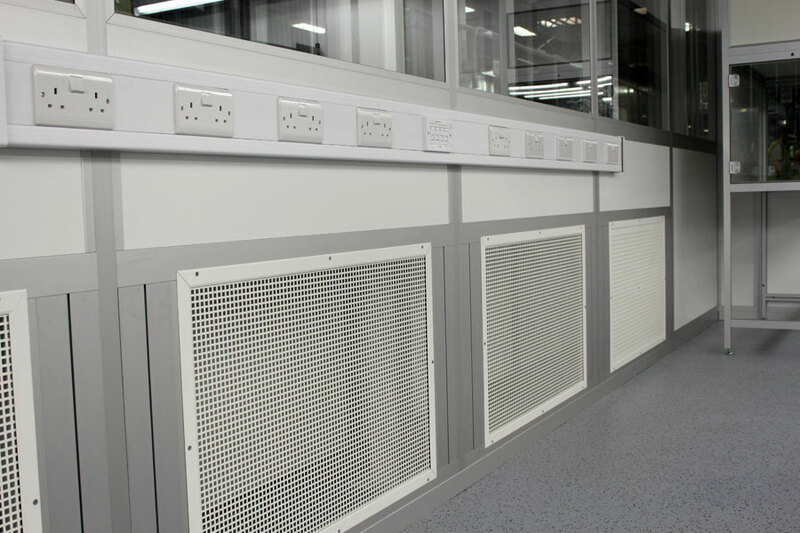 Class 1,000 cleanroom with class 100 working areas, turn-key installation complete with integrated conveyors, automatic particle monitoring system and internal fit out. Personnel interlocked air shower and raw material pass through hatch. Ceiling integrated light units with additional tear drop style lights for improved localised lighting to 800 LUX levels. 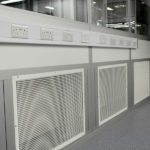 Ceiling integrated fan filter units with additional units over higher classification work areas. Constant particle monitoring and reporting with BMS interface.